Perfect in the dark and when shooting moving subjects. The high-precision AF system. This camera is equipped with the SAFOX X AF system. 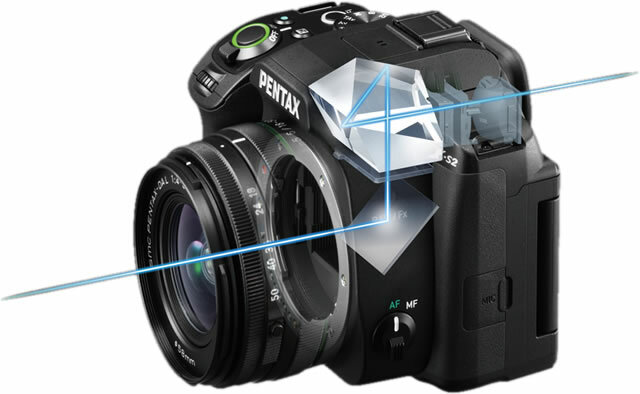 In addition to a high-sensitivity AF sensor that is perfect for shooting in the dark, it is equipped with a diffractive lens in the optical system. Chromatic aberrations are kept to an absolute minimum and focus detection accuracy is increased. Algorithms are used to increase AF speed even further. 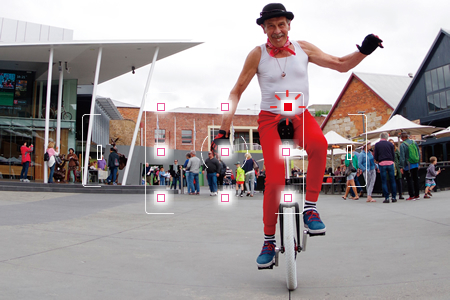 The 11 AF sensor points let you freely compose shots. 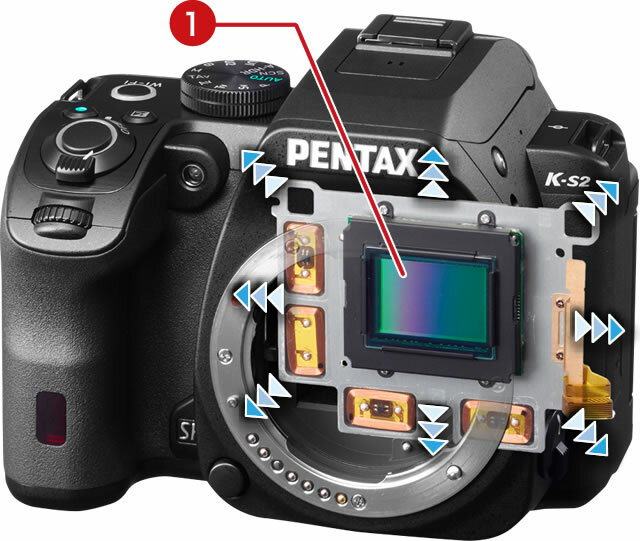 Nine of these points are cross-type sensors that make it easier to catch subjects. 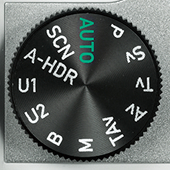 The center AF points make it possible to focus in the most difficult situations, such as when using a large-diameter lens with a narrow depth of field. *In addition to Auto (11 points), there are other AF area selections such as Auto (5 points), Select, Expanded Area AF (during Continuous AF only), and Spot. 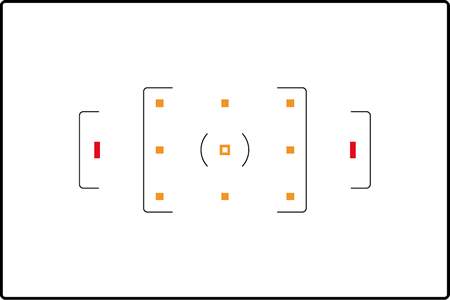 When using Expanded Area AF, surrounding AF sensors will automatically be used even if the subject moves away from the selected AF sensor points. 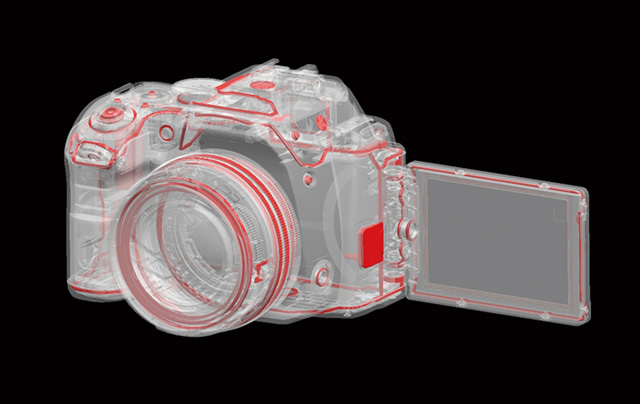 This technology lets you continuously capture moving subjects. This camera is equipped with a 1/6000 sec. high-speed shutter. 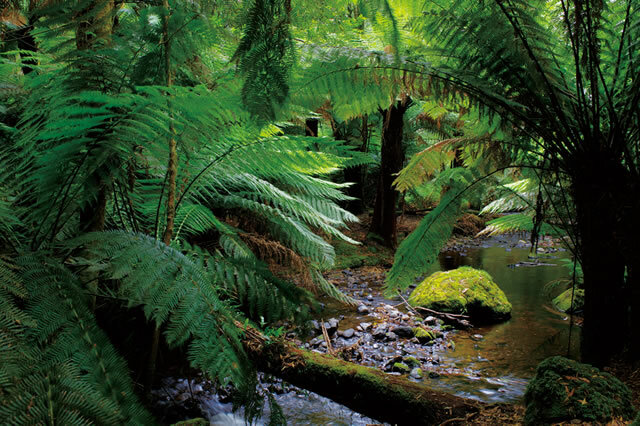 With it, you can capture split-second movements of active subjects in sharp detail. 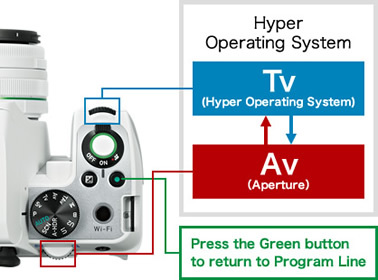 Up to approximately 5.5 fps high-speed continuous shooting is possible. Because the movement and expression that changes from moment to moment is captured continuously without missing a shot, you can select the best shot afterward. The mode dial is equipped with a full lineup of shooting modes. Two USER Modes are also available to register frequently-used settings for easy activation at any time. The zoom lens part of the kit lens lineup is kept to 41mm when retracted, thanks to the newly-developed lens barrel mechanism. 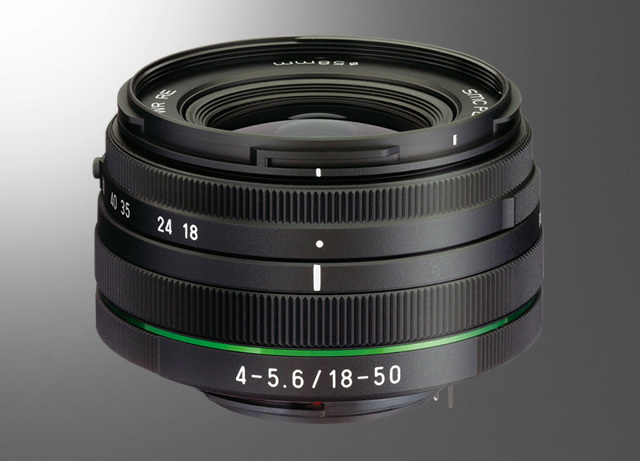 It has a focal length of 27.5 to 76.5mm (35mm equivalent). The camera is easy to take with you when this lens is attached, and the in-lens DC motor drive makes AF operation silent. It also features the same weather-resistant construction as the camera body. A weather-resistant/dustproof construction was employed for shooting outdoors. Sealing was used on 100 different locations, including buttons, dials, and covers, to prevent rain, water droplets, sand, and dust from getting into the camera.